Well-marked paths, hitting the trails with your own compass in hand, easy to difficult hiking trails in the midst of superb natural surroundings. Let us introduce you to the most well-known and classic hikes in Sweden. The more than 400 km long Kungsleden Trail, which stretches from Hemavan to Abisko in Lapland, was established at the end of the 19th century. This historic path is considered one of the most beautiful hiking trails, both in summer and winter. Of course the latter would require skis. You can select the stage that appeals most to you as far as nature is concerned. The section between Abisko and Nikkaluokta is the most alpine-like which makes it one of the most visited sections. From Saltoluokta to Kvikkjokk the terrain alternates between barren plateaus above the tree line and meadows surrounded by mountains and forests. Not too far from the trail is the impressive plateau of the Sarek National Park. 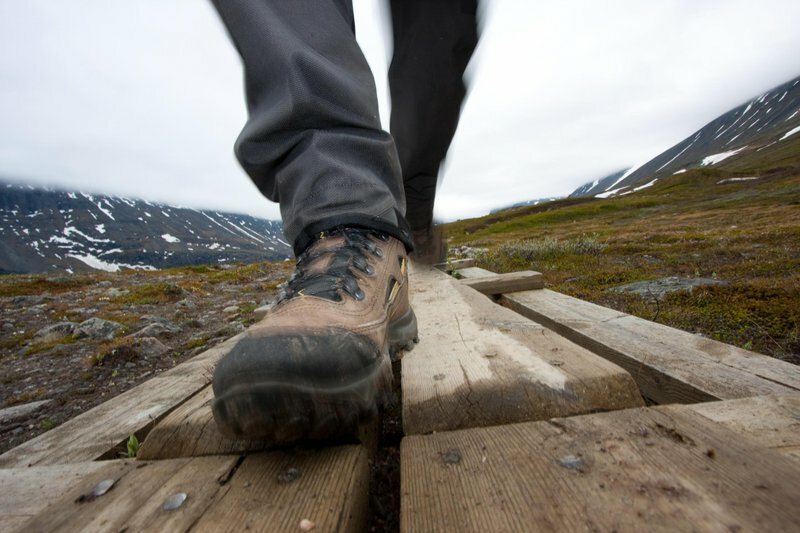 Wooden steps and bridges ensure safe passage for both hikers and skiers and as the comfortable overnight huts are well within walking distance the daily hikes will never last too long. You will be walking in a highly diversified natural environment. One moment you could be walking in an open landscape and the next in areas of unspoilt nature, old forests or along fantastic coastlines and shores. This route takes you past no less than 80 lakes that will all tempt you to take a refreshing bath right in the middle of nature. There are many places and locations that are of cultural historic importance near the trail. Also well within reach of the route are hotels, inns, B&Bs and youth hostels. However, for those who prefer to spend the night in the open air there are designated protected overnight places at the most beautiful of locations. The Skåneleden Trail is an attractive alternative for those who wish to combine nature experiences with culture and culinary enjoyment. The route passes through deep forests of deciduous and coniferous trees, through impressive nature parks, along quiet lakes and through deep gorges. You will, however, also see undulating hills with fields and white beaches that go on for miles with the occasional picturesque fishing village. Experience the impressive coast at Kullaleden, meander through the blooming meadows and fields, or through the Österlen forests. Along the entire route you will find pleasant and beautifully located hotels, B&Bs and camping sites. The Emigrant Trail, the 130 km long trail in the Småland region, passes along and through villages from which many citizens emigrated to America between 1850 and 1910. The reason being the hard and rocky ground making it hard to grow crops. This resulted in a famine causing many inhabitants to leave this area. Vilhelm Moberg, the author, wrote about the emigrants’ experiences. Reading the book will take you to the surrounding area of the villages Ljuder, Långasjö, Korpamoen, Moshult and Duvemåla. A great reason to travel through this area and as you will encounter all sorts of overnight accommodations en route you can take all the time you need to explore it. King’s Trail (Kungsleden) in Swedish Lapland? The Blekinge, Skåne and Halland trails in the more temperate south? Gotland island in the Baltic sea, or the West Coast and its archipelago. Heard of them? Bring your caravan or motorhome to more than four hundred and fifty National Swedish Campsite Association campsites in Sweden. 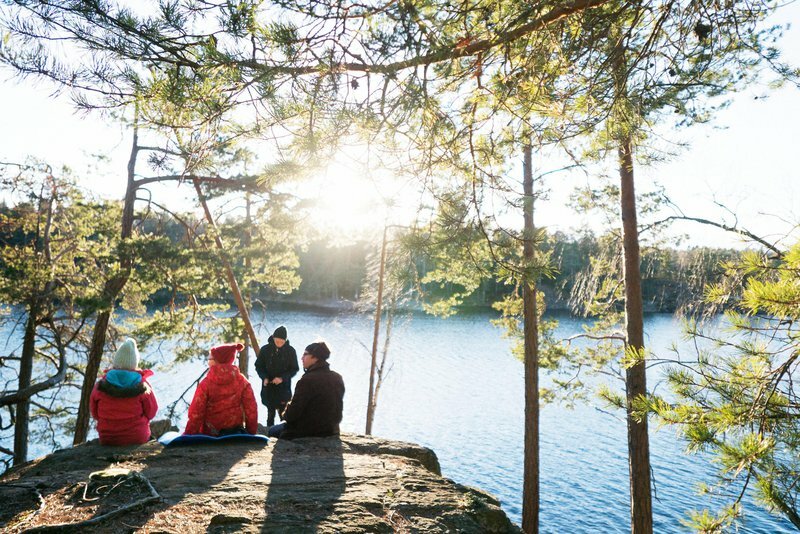 Drive or pitch under the midnight sun in Swedish Lapland, camp in a giant forest, or beside countless lakes anywhere in the country and beachside in the south, east and west.